14 men from five different areas including Chesterfield, have been arrested in connection with a national child abuse investigation. The men were arrested by Staffordshire Police today (May 7) and are from Chesterfield, North Staffordshire and the West Midlands and are aged between 14 and 41, a police spokesman said. They are currently being held by police and will be questioned by detectives about sexual offences against two young people from the North Staffordshire area. 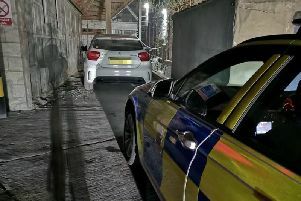 Police have also undertaken searches around various areas, including Stoke-on-Trent, North Staffordshire and Wolverhampton, where property and vehicles have been seized. Chief Superintendent Martin Evans said; “Today’s operation is to support an investigation into a highly sensitive matter and our first priority is safeguarding and supporting the victims, and the most vulnerable in our communities. “Police officers are patrolling areas where the arrests were made to provide a visible presence and reassure residents.